Now we all know and love salt as the table condiment that tantalises our taste buds, whether it’s seasoning our vegetables or flavouring our roast chicken. What if we told you that salt is being used to craft some pretty spectacular salt structures around the world too. 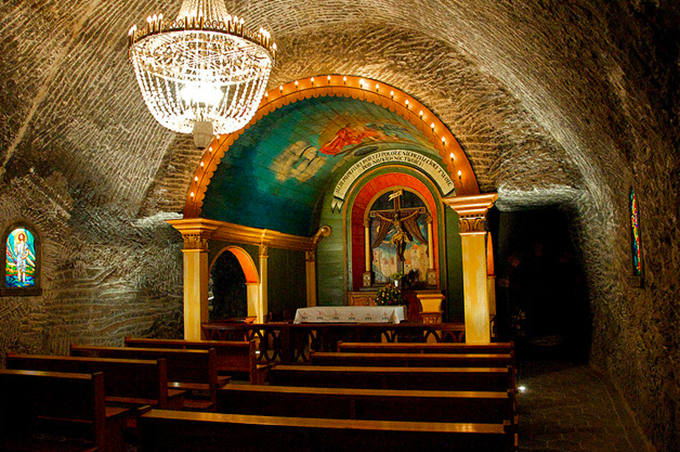 Using special salt mixes, in countries as far and wide as Bolivia and Poland, builders have been creating masterpieces with sodium chloride for centuries. Driving many of the first trading economies and some of the earliest settlements from salt mines, from the Phoenicians to Venetians, humans have an age-old affinity with the white stuff – or ‘the divine substance’ as Homer lovingly described it. Until about a hundred years ago, salt was one of the most sought after commodities in the world, which would have made these seven wonders not only impressive but incredibly valuable. 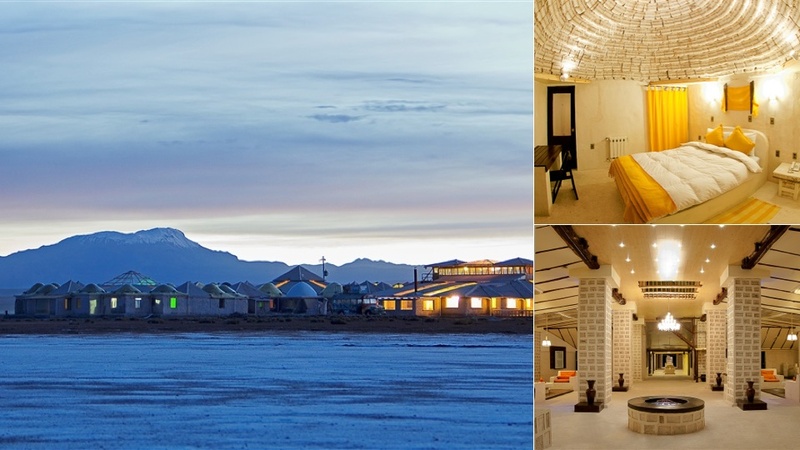 Bolivia’s Salar de Uyuni is the biggest salt flat in the world, so it’s only fitting that it’s the spot where the Palacio de Sal sits — a fully-functioning hotel made of salt. Not wanting to be one-upped, America has gone a step further. 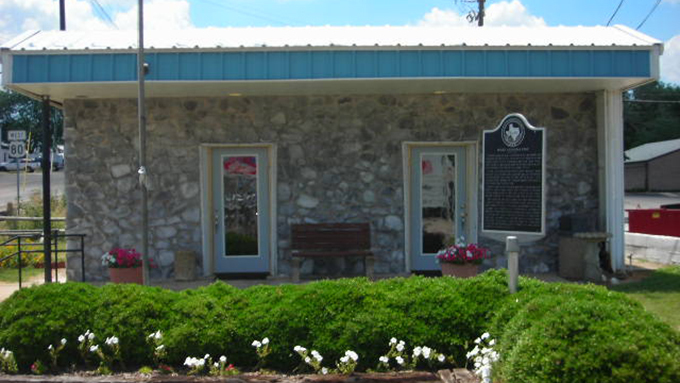 In Saline, deep in the heart of Texas, there’s an entirely lickable Salt Palace. Do so at your own risk though as people have been at it for the last 80 years. 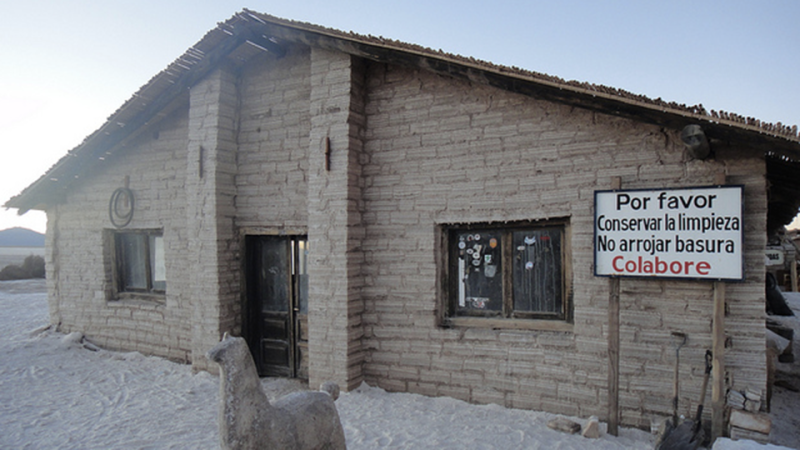 Back in South America, we’ve discovered a sodium-rich out-house in the Salinas Grandes salt desert. 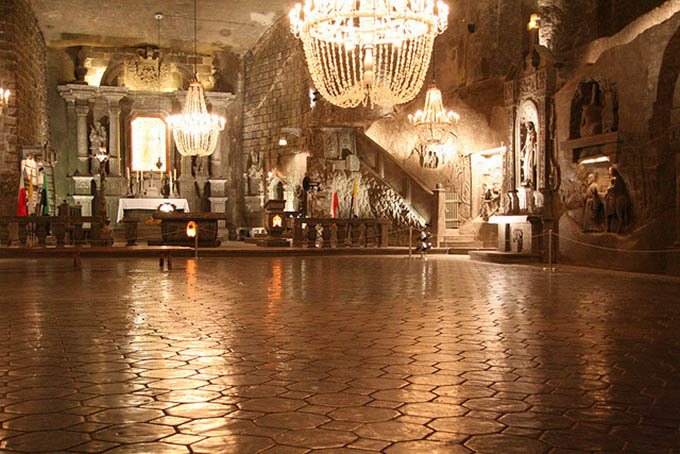 One of the oldest salt mines in the world, the Wieliczka salt mine in Krakow was the source of continuously produced table salt from the 13th century right up until 2007. It houses a chapel. And an entire cathedral carved from salt. 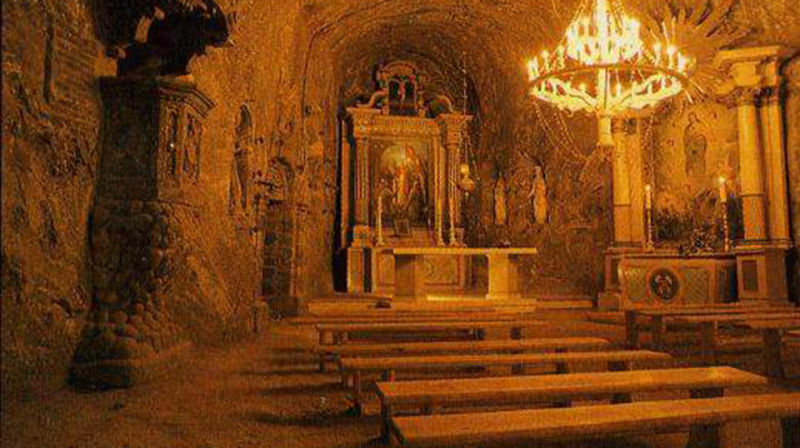 Still in Eastern Europe, we find the slightly lesser known salt mines of Bochnia, where this solemn subterranean church can be marvelled upon. 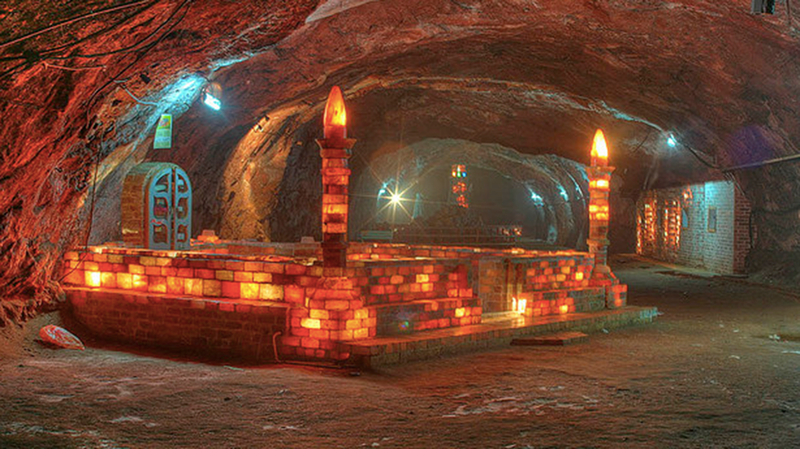 Ending the show in lights, we have this majestic illuminated salt mosque, hidden away in the depths of the Khewra salt mine.